FilPal provides an affordable and simple design platform for engineers to access to basic RF & Microwave simulation tools. They unlocked a new dimension of learning RF & Microwave Circuit Design with their own inhouse software called the FILPAL DIY (Your Design PAL). We’re not expert in simulation tools, but FilPal is. 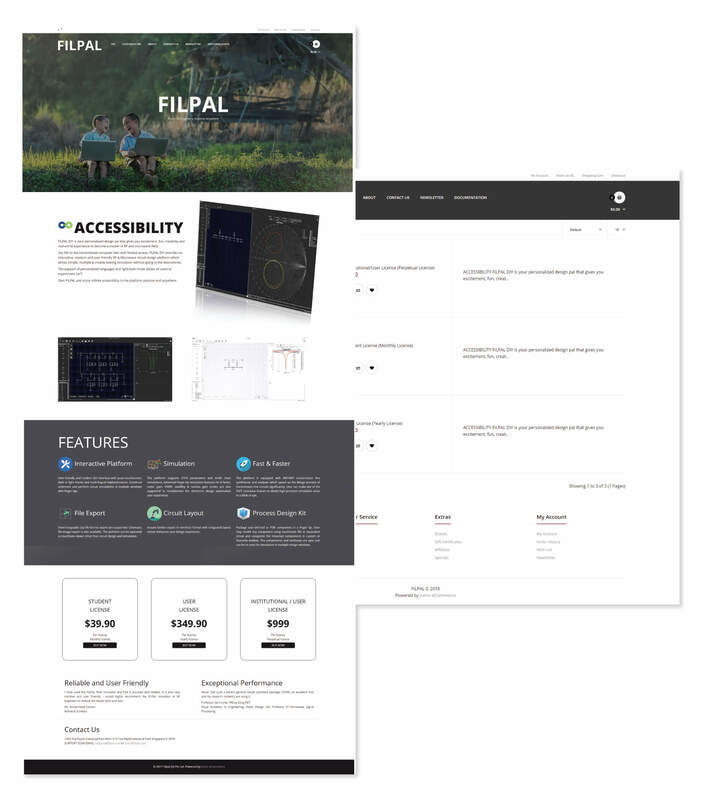 Our responsibility is to help FilPal establish an online store, where their customer can directly subscribe to their licence online. Easy and hassle free.